What Tools Do You Need for Fundraising Success? It can feel like fundraising has become more complicated than ever in the past decade. Not to say that nonprofit work was ever easy, but now organizations are expected to reach new audiences, collect funds through multiple channels, and maintain a constant buzz with their website, email, direct mail, and social media. That’s a lot to keep track of. Fortunately, with new challenges come new solutions. It seems like there’s a new time-saving digital tool or platform showing up every day. But this raises the question: what tools do you actually need to be a successful fundraiser in today’s nonprofit sector? Obviously, one of the most important tools for fundraising is, well, fundraising software. With online giving growing across organizations of all sizes, you can’t afford to lose out on all the people willing to click “donate.” But with options ranging from a single donation button on your website to al-in-one fundraising software, your first step is to ask what you want from a platform. • Classy.org – by the way, did you know Classy has a free fundraising option? Once someone makes a donation to your organization, do you know how to thank them? Engage them? Hold on to them? A donor management system (or customer relationship management system/CRM) helps you to track your donors, identify your donor personas and speak to them most effectively. This is your base of operations for donor relations. One important factor in choosing your CRM is which other tools it integrates with. Salesforce, for example, directly integrates with Classy. So when someone makes a donation to your Classy fundraising page, their data is automatically synced to your Salesforce account. 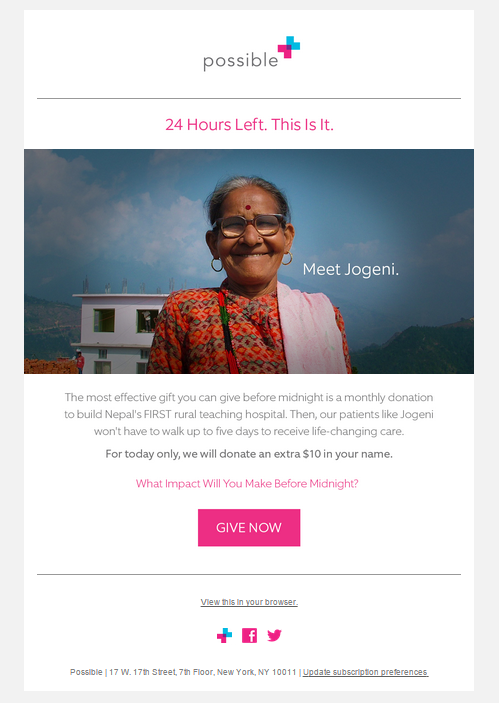 Now more than ever, email is a vital tool for fundraising. Finding the right email tool can save tons of time and help you reach more people in ways that appeal to them. Through email services, you can organize your contacts, design emails for different audiences, and schedule drip campaigns. The best tools will have the reporting and tracking capabilities to show you which emails are making an impact and which are being ignored. Platforms like Twitter and Instagram can sound deceptively simple. After all, how hard can it be to upload a picture now and then? Who doesn’t have time for 140 characters? But then it’s Thursday afternoon and you realize you haven’t been on Facebook or Instagram at all this week. You’ve been on Twitter a few times, but only 17 people saw your last tweet. Social media can quickly go from a fun distraction to an overwhelming responsibility. One of the most attractive features about a social media management tool is that it can bring all your profiles into one place, or at least let you update them all. Like most professionals, nonprofit fundraisers need certain tools to get the job done. By taking into account what your organization needs and what different platforms can offer, investing in some online tools can save you time and effort. While all the moving parts of a fundraising campaign can be difficult to juggle, but with the right software and applications, you can reach more people, raise more funds, and make a bigger impact.